The beauty of sports titles being annual releases is that it allows the developers to build off the previous year’s versions and improve. 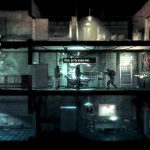 Take the suggestions that players gave and implement them to make a better game. Continue to improve until you have a solid sports title that fans clamor for each year. The RBI Baseball series goes against that trend and improves in areas no one asked for, while leaving the main game a bit of a mess. To be fair, RBI Baseball 19 is better than last year’s game, which was better than the previous year’s game. The issue is that when your game just barely is okay to play, improving it slightly each year doesn’t help make lasting fans of the series. 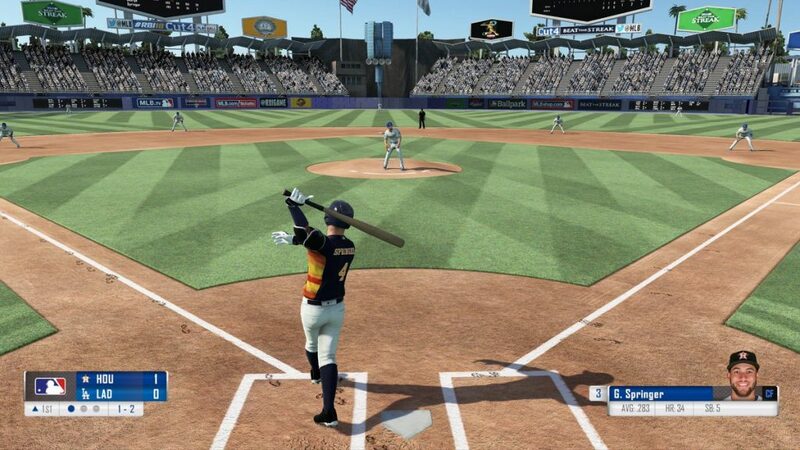 RBI Baseball 19 is, as you probably can guess, a Major League Baseball game. In it you’re given a variety of options to fulfill your baseball dreams. You can play a single game, play a Home Run Derby, or take over your favorite MLB team and run the team in Franchise Mode. You can even play against your friends online (except for the Nintendo Switch version for some reason). 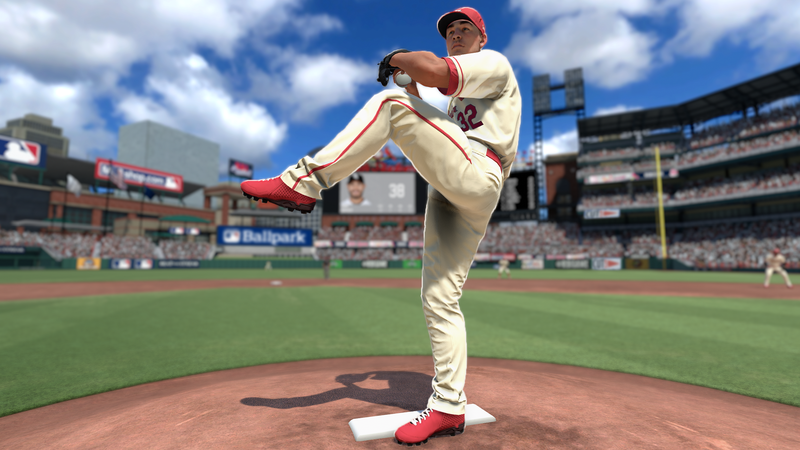 RBI Baseball 19 makes a number of improvements over its 2018 edition. The further refinement of game modes, including Franchise Mode, makes the game feel like it has more depth. Franchise Mode alone is a game mode that you can sink hours into, allowing you to control your favorite MLB team for 10 seasons. You can even change how many games are in a traditional season. MLB normally follows a 162 game season, but you can drop it down if you’d like a shorter season. 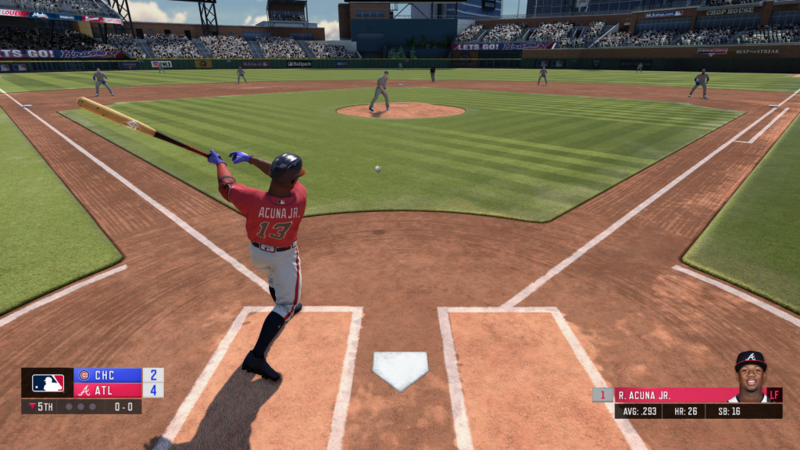 If Franchise Mode isn’t your thing, there’s always the Exhibition Game mode (allowing you to play a single game) or Home Run Derby Mode (play through all eight players in the Home Run Derby). In sports games like this, it’s really nice to have a number of game modes besides the basic “play a game” mode. It definitely helps make the game feel deeper, giving you a new reason to come back to the game. RBI Baseball 19 has improved upon its looks too. The game is sporting better visuals than before and now with more “authentic” animations for the players. It’s a nice upgrade and does make the game look better. While it’s not a massive jump over its 2018 version, there are plenty of noticeable improvements on stadiums and players. With that said, RBI Baseball 19 continues the series’ trend of being like a train wreck waiting to happen. At its best moments, the game is fun and provides simple baseball action that really makes you enjoy the title. The problem is that, like a literal train wreck, it goes horribly wrong very quickly, and 99% of the time it’s not your fault as the player. 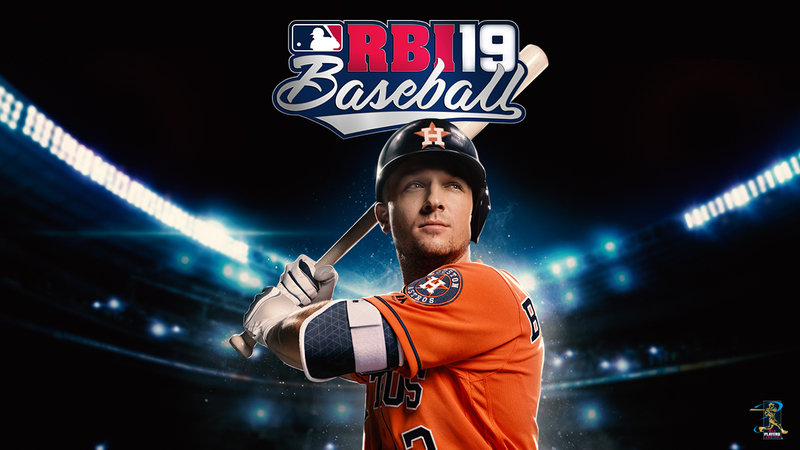 Like last year’s version, RBI Baseball 19’s A.I. is so brutally all over the place that it breaks the game. At random points in the game, the computer is so stupid that it misses simple plays on the field or throws a ball straight down the middle of the plate so you can get an easy hit. Then, very randomly, the A.I. is perfect, it doesn’t miss a play, doesn’t miss a ball, and hits home runs against you with ease. It literally happens at a random moment in any game, and I played many, many games. What’s remarkable is that this was a big problem in 2018’s version of the game and wasn’t fixed in this new version. Apparently, the developers felt that “better player animations” were more important than, you know, fixing the most broken part of the game. It should also be noted that the game looks better than its 2018 edition (the developers highlight this as a main addition to 2019’s version). The problem is that the game still looks bad. Player animations have been improved; however, they need a lot of work. Players will look good when running but then randomly stop any animation whatsoever when a play on the field is over. This can be quite an odd sight when a player that was literally running full speed a half second ago just stops completely, frozen on the field. At times the game can look and play like a good quality mobile game. The thing is, on consoles it’s really easy to notice the graphics are not great. Yet again this is another problem from last year’s version that went ignored. Animations have been improved while batting but not while running or fielding. So while this is an improvement, the game still needs quite a bit of work to look like a decent game. It’s understandable that the game won’t look the same as the MLB: The Show series since this game simply doesn’t have the budget or development team. That said, the RBI Baseball series has the opportunity to be a good go-to game for those looking for a simple arcade baseball game or any sort of baseball game on Xbox One or Nintendo Switch…if it looked and played well. This is what continues to make the RBI Baseball series hard to recommend. At its best moments, you’ll have fun and want to play a lot more of this game. At its worst moments, you’ll never want to pick the game back up. It’s just a shame that the worst moments of the game happen way too often. RBI Baseball 19 continues the series' trend of being an okay baseball game with a lot of problems. The game continues to have a number of game modes that provide depth to the gameplay, and its simple arcade baseball action is a lot of fun to enjoy. 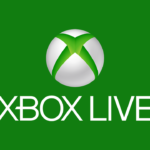 The problem is that any "improvements" made to the 2019 edition didn't help address the game's biggest issues. The A.I. is still very broken, which breaks the game completely, and the graphics continue to look like an older mobile game. We will say it again, like we did last year, but here's hoping the developers improve on the title and 2020's version is better. RBI Baseball 19 is a mixed bag.